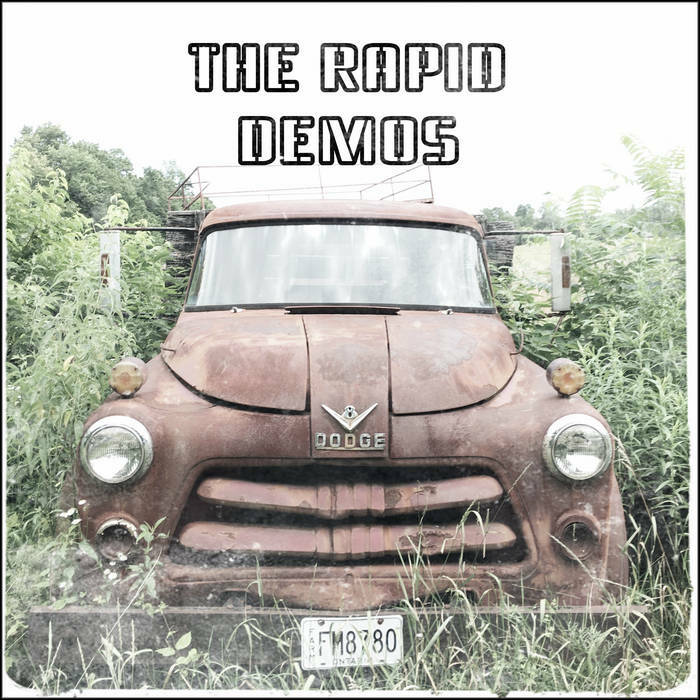 The genesis of various rapids songs from demo to final production. my love won't desert me. I doubt I'd be more certain. But maybe I'd be more inclined to look behind the curtain. Rest your head upon my breast as long as fate allows. Easy come and easy go is not something we do now. I can still see your face in my dream, it never fades. Maybe we can walk away and end this masquerade. Do you not feel this anymore? I see the lights go up as the sun goes down. another change and a lonely alibi. I'll never find the cause. the sound of the porch swing and the closing of the door. Do you not feel this anymore she said and met my eyes. Or would you let the whole thing fade away without a fight. the changing of your past with your empty alibis. Never keep your heart held afloat by lies. minutes pass like hours when they used they fly. You're gone again, a silent tear. Should be used to it by now that you're not here. like I don't know you're there. Staying out of sight, retreating down the stairs. The fading footsteps and the slamming of the door. You're tearing us apart with your empty alibis. and now she realized she's not that anymore. she won't wait for me. and all the things that had abandoned her. such long slumber wakening tonight. thought I heard you call my name. It slipped though my fingers again. chills my heart right to the core. It all pales to black and white. You can set me free. There's still something calling me. Wish that I could make you see. Burying these demons to be free. begging me to call out loud. Want to live this new life I have found. How many times I gotta tell you? before I go out of my mind? How many lies I gotta sell you? Before you see it's gonna be fine? Going on like you have won. No-one wins in this game of love. I'm not listening to it anymore. Headin' on down that track. Try-in' to make you see. How long do we do this for? Before you listen to me? hear now what I have to say. Just trust there's no more lies. Truth will melt the clouds away. Let the light into our eyes. Drivin' down this road is fun. That I'm the only one. before you go outta your mind? look at the mess we're making. Letting the pressure of everything invade our senses. out through the night of Northern stars and our defenses? I know I should not complain. Look at all the things that grow, after the spring rain. up to the Seven Sisters? let all your fear go. and I do believe, she don't even know my name. and I do believe, she don't even know her name. I won't be back again. walking through the fields in the fading light. I'm waiting, for the first star to rise. Hey my baby, I was going crazy and I don't mind saying. Hey my baby, went a little nuts there's no denying. Looking to the sky to see some kind of sign; would you be mine? I can't stop, what I've begun. Waiting for the revival, waiting for kingdom come. Sinking into the light, I've narrowed my heart on the run. Hey my baby, can't keep still gotta beat the time. Hey my baby, went a little nuts, it'll drive you crazy. Hey my baby, never could colour between the lines. Hey my baby, it'll mess you up like there's no tomorrow. Hey my baby, looking to the sky to see some kind of sign; would you be mine?